Here at The Gourmet Cheese of the Month Club, we know that having a better understanding of what to look for when you’re tasting a new cheese, as well as how it was made, has a lot to do with your overall experience. That’s why we put a lot of energy into crafting thorough monthly cheese club newsletters that profile that month’s featured cheese makers and offering detailed tasting notes for each cheese. You can read up on your favorite cheese types below, or discover new types of rich, tangy, and creamy cheeses you can have delivered to your door. We also invite you to check out this year’s featured cheeses, where you’ll find a few you’ve never tried before including those featured in our newest club, The Rare Cheese Club. This traditional Czech Republic, farmhouse cheese is made in Karlovy Vary, the famous spa town previously known as Carslbad. Crowned heads and great 19th century artists, among them Brahms, Chopin, and Alexander Pushkin, came to this town and no doubt enjoyed this wonderful cheese... just as you can today. The natural pastures of this mountainous part of Bohemia provide the sheep with a rich diet that contributes to the robust and rather strong flavor of this pressed cheese. Abertam which is ripened in only two months, is a hard cheese with the shape of an irregular ball, and its natural rind is thin, and yellow to orange. Appenzeler cheese is made in the mountain canton of Appenzeller between Lake Constance and the principality of Liechtenstein. In earlier times each valley of the Alps had its own specialty cheese that was used to pay taxes. And Apenzeller was one of these distinctive white, mild cheeses... it has been documented for over 7 centuries! The Appenzeller identity was given the AOC designation in 1981, and is protected by a special authority in St. Gallen, Switzerland. Read the Tasting Notes from our previously featured Appenzeller cheese! Aragon is sometimes made by combining ewe's and goat's milk. The milk is curdling with rennet or thistle-flower extract for less than an hour, then the curd is cut into small bits, drained, molded and pressed by hand. Aragon ripens for only a week in a controlled humid environment. This unusual buffalo milk cheese comes from Transylvania in central Romania. If you visit there, you will probably encounter herds of domesticated water-buffaloes. Exit your car and you will be welcomed by these eager heifers, boasting long manes down their necks and backs, enormous inviting eyes, and surprisingly soft, delicate noses which they love to have rubbed! The challenge for their owners is supplying the buffaloes with water. As their name implies, water-buffaloes crave the wet stuff, and in hot weather they need it to keep cool, as they have very few sweat glands. Asiago is made in the Italian province of Vicenza. It has butter coloring with tiny "eyes," and complex flavors, ranging from mild (clear/white coating) to aged (black coating). Favorite pairings include pasta, fresh figs, pears, salami, and crusty breads. Serve it with red wines, cranberry juice, and sparkling red grape juice. Asiago d'Allevo is hard and sharp and primarily used for grating. Asiago Grasso Monte, a medium, tangy cheese, is my favorite. The mild and delicate version, Asiago Pressato is sometimes mistaken for American Cheddar. Find more wine and cheese pairings here and be sure to read our asiago cheese Tasting Notes. Named after a small rural town in the French Alps, this giant cheese (a whole wheel weighs over 80 pounds) is creamier and richer than other Alpine cheeses like Emmental, Gruyere and Comté. The term D'Alpage indicates that this Beaufort is made from milk taken from a special breed of mountain cows (Tarines) that graze naturally, as opposed to those that are fed indoors from a trough. Aging of up to 8 months takes place in the off-season in rural Alpine cellars that are naturally cool all year long. This cheese was created in the early 1990's by Arthur Djes, innkeeper of Beauvoorde Village in Belgium. Beauvoorde is a semi-hard cheese made from cow's milk. It has a hexagonal shape with gray, natural rind, a mild flavor and a spicy aroma. A creamy farmhouse Devon cheese made from unpasteurised milk & with vegetarian rennet. Very similar to Curworthy (see also Devon Oke). The whole cheese weighs about 2Kg. Berkshire Blue is made from whole unpasteurized Jersey cow’s milk. This artisan cheese is made in small batches, starting with only 60 gallons of milk. Its production is completely by hand, and by only one person. It is hand-stirred, hand-ladled and manually turned, resulting in an exceptionally creamy, smooth blue. Bethmale is the most famous of the goat's milk cheeses from the Pyrenees. Its flavor is tangy and somewhat spicy yet mild. It is semi-hard, uncooked with a pressed curd and has few pea-sized holes. Its naturally forming rind is brushed and turned for 2 to 3 months to assist in its hardening. A natural rind beauty, with hints of nuts and oak, Bingham Hill Rustic Blue is a decidedly unique artisanal cheese with a great depth of flavor. Great when served as a table cheese, this cheese also melts well and is fantastic over vegetables, meats or in a pasta sauce. Pairs perfectly with port or fine red wine. Only a few farms in England possess a herd of water buffalo. Imported from Italy and Romania, these buffalo are unaltered by genetic manipulation and still thrive without excessive antibiotics or high protein feeds. Instead, they feed on the grass and clover from the English countryside. They produce a milk that is pure white and beautifully smooth, fulll of natural goodness. Buffalo milk is much lower in cholesterol than cow's milk--great news for all who are watching their cholesterol! It is also richer in proteins, important minerals such as calcium, iron and phosphorus, richer in vitamin A and contains high levels of the natural antioxidant tocopheral. This blue from southeastern France is creamier than Roquefort owing to the fact that it is made from cow's milk rather than sheep's. The terrain near Auvergne is craggy and desolate and thus better suited to raising sheep than cows. Even so, the region manages to produce enough cow's milk to eke out its small annual production of Bleu d'Auvergne. Bleu d'Auvergne is great crumbled on a tossed salad. You should also try a small piece on a slice of apple for a beautiful, healthy midday snack. Read the Tasting Notes from our previously featured bleu d'Auvergne cheese! Cows graze in the pastures of the Jura Mountains in Comte 6,000 ft. above sea level. Here, they munch on mountain grass and flowers that give their milk a distinct flavor reminiscent of mushroom and tarragon flavors. The mould of the mountain grass and flowers traditionally passed into their milk. This milk is used to produce Bleu de Gex. The mould in the milk used to be enough to create a blue cheese, but today they help it along a little by adding some penicillium roqueforti to the milk. It still retains its beefy, fruity flavor, evenly marbled with pale green mould. Aged 1-3 months, Bleu de Gex can be difficult to find in the US. This brie-like blue cheese from Denmark is made by Tholstrup, the same company that makes Saga Blue at its factory in the United States. Blue Castello is richer than Saga Blue and is made only in Denmark. Castello is a distant derivative of Italian Gorgonzola but has a higher fat content and a milder flavor. It is a perfect blue for those who like a little blue flavor without being blown away. Blue Cheese is an American version based on the many European crumbly blue cheeses, and it's delicious crumbled on top of salads or paired with fruit slices. Because it crumbles easily, it's a good idea not to stack other cheeses and foods on top of Blue cheese. We invite you to read the Tasting Notes from the Point Reyes Original Blue Cheese, which we previously featured in our club! Boursault is a very popular double cream cheese that is frequently found in grocery stores across France. Boursault was originally made in 8-ounce drums. The company is now owned by Boursin, which makes relatively well-known spreadable, herbed cheeses. Brie dates back to 11th century France from the province of Le Brie. Both cheeses are round with creamy yellow, soft interiors with a thin white powdery crust you can eat. Camembert has a higher moisture content and tends to be a bit taller. Mild to heady flavors, sometimes described as "mushroom like," develop with aging. Take a look at the Tasting Notes from a previously featured creamy brie cheese! Bruder Basil comes to us from Bavaria and is made in the tradition of Rauchkäse, a smoked cheese typical of the region. This semi-soft cows milk cheese has a darker natural rind and a rich creamy texture. This Scottish cheese is made according to an ancient recipe with cream-enriched cow's milk. Caboc is shaped like a chubby log, and then rolled in oatmeal. The oats give it a nutty, yeasty flavor. Caboc only takes five days to ripen. Located in County Limerick and recognized as the originator of fine Irish cheese, Marion Cahill of Cahill's Farm has developed an interesting range of flavored cheddars. Using a base of tangy Irish cheddar, she has experimented with a variety of flavors and has come up with some very popular combinations. Cambozola, which is made by Kasseri Champignon in Bavaria, is a rich and creamy Camembert-type cheese with a bloomy white rind. Beneath its crust one finds streaks of tangy blue, hence its name: the marriage of Camembert and Gorgonzola gives us Cambozola. Read the Tasting Notes from our previously featured cambozola cheese. Cantal is one of the oldest French Cheeses, predating both Roquefort (11th Century) and Livarot (13th Century). In fact, Pliny the Elder mentions Cantal in his “Historia Naturalis” written in the 1st Century AD. Cantal was originally produced by putting the curd into le Formage, a wooden cylinder, which is believed to be the origin for the French word for cheese. Cantal is made from pasteurized cow’s milk with the curd being heated before pressing. Read the cantal cheese Tasting Notes to learn more about this previously featured cheese. Creamy and rich, as a goat cheese should be, Capra Goat is aged for but a few weeks, so it is firm enough to slice but creamy enough to spread. This chevre comes from the mountainous Walloon speaking region in the South, a place where goats graze on herbs and grasses in the rugged hills of the Ardennes. Another Scottish cheese made from sheep's milk, Cairnsmore has a hard, crusty rind with red ferments. It is a modern, unpasteurized, hard cheese. The rind develops a series of wonderful moulds as it matures. The aroma hints an old leather. The texture is firm, like Cheddar but more moist. Aromatic and nutty, with the sweetness of caramel and burnt toffee, the cheese ripens in seven to nine months and is only made from April to October. Legend has it that Camembert, a cows-milk cheese, was first crafted in 1791 by a farmer from Normandy named Marie Harel. This creamy cheese is famous in French culture and was issued to French troops in World War I. It is aged at least three weeks and have a soft-ripened texture similar to brie. Read the camembert cheese Tasting Notes to learn more! Carr Valley Cheese is owned and operated by The Cook Family. Sid Cook has earned the title of a Wisconsin Master Cheese Maker, and is a 4th generation cheese maker. With the pride of generations, the Cook family has over 100 years of Wisconsin cheese making experience. The Carr Valley Canaria is a firm cheese like Parmesan with a fruity, nutty flavor derived by curing in olive oil. Ireland's Beechmount Farm makes this superb blue cheese. Louis and Jane Grubb own this farm in the rolling hills of Tipperary. This county is the heart of horse country and a center for outdoor activity, including pony rides, treks on horseback, fishing, riding, and bird watching. The folks in Tipperary enjoy the good things in life, including their cheese. Cashel Blue is a young, somewhat mild and extra creamy cheese that, unlike inferior blues, is not too salty. It is a fabulous alternative to Gorgonzola or Stilton. Claret is a term used by the English when referring to red wines from the Bordeaux region of France. This cheese (sometimes called "Windsor Red") blends the wine from France with the cheese from England into a beautiful, mottled cheese. The cheese looks similar to Sage Derby, except the veins that run throughout this cheese are a beautiful, dark red rather than the vivid green of Sage Derby. This cheese has the rich, sharp flavor of Cheddar with heady overtones of wine. Chedarski is a Polish cheddar with a nice, full flavor. Less sharp than a traditional English Cheddar, it is almost as if the Poles crossbred a cheddar with a gouda. Great for cooking or melting, this medium-bodied cheese is available at a very reasonable price. Enjoy as a midday snack with beer, cider or ale. The cheese industry in Belgium, though humbler than that of France, Italy or England, is still going strong and creates some wonderful cheeses. Chevagne is one of these Belgian beauties. It is a surprisingly mild and creamy goat’s milk cheese produced by the Passendale Dairy. Old Chimay, as the name suggests, is an aged cheese from our friends at the Chimay Abbey in Belgium. Famous for their soft St. Paulin-style cheese that is washed in ale, they also make this excellent variety. They age pasteurized, unskimmed cow’s milk for 8 months. Its striking orange color is similar to that of Mimolette, and it offers a springy yet satiny texture. Old Chimay has a hazelnut taste that is sharp and creamy at the same time. The origins of the this cheese are not steeped in ancient Cornish folklore as the name may suggest but is quite simply the original makers name spelt backward. A semi pressed savoury and mild cheese that is coated in nettles giving it a bitter finish. This cheese is of the Vacherin Mont d’Or type, a rich, runny cheese that is so soft it almost has to be spooned out of its container. Like Vacherin, Cremoulin is made in the autumn and winter from the milk of cows fed on cold-weather vegetation, such as hay, grain, and silage. The tradition of making this cheese arose from the fact that Alpine winters in France and Switzerland eliminated the possibility of daily milk deliveries. Crescenza is a rich, creamy, fresh cheese that is also known as Stracchino. It is produced in the northern Italian provinces of Lombardy, Piedmont and Veneto. Crescenza's texture and flavor are similar to that of a Gorgonzola without the blue, and it becomes very soft and spreadable at room temperature. Made from cow's milk. Crowdie is a fresh cheese made from skimmed cow's milk... usually log shaped, but it is also sold in tubs. The texture is creamy, yet crumbly and it has a slightly sour taste. A blend of Crowdie and double cream called Gruth Dhu has been introduced recently by cheesemaker Susannah Stone. This cheese is formed into oval shapes and covered in toasted pinhead oats and crushed peppercorns. Danbo, a popular Danish cow's milk cheese, is rectangular with a smooth yellow rind [sometimes it's covered in red wax]. It has a pale, elastic interior with a few small holes, and the ripening period takes six weeks to five months. Also known as Blue de Graven, this cow’s milk cheese is rich and creamy with a buttery mellow taste and a clean finish. “Delft” has a nice underlying sweetness and is not at all salty. Not only is this cheese delicious, the attractive blue veins intermingle in the milky whiteness resembling the lovely blue and white Delftware, as if it were broken and put back together again. Made in OKEhampton, Devon, it is a mature Curworthy. This cheese together with its stablemates, Curworthy & Belstone, are made to a 17th century recipe from the farm's own herd of Fresian cows. They are slightly sweet with a buttery flavour. Full flavoured cheese made by Mike Davies from the hand-skimmed milk of his dairy herd at Woodbridge Farm near Sturminster Newton, Dorset. It is classed as a medium fat cheese and is the only genuine Blue Vinny. It is also possibly the only blue cheese in Britain made from unpasteurised milk. The most famous Dutch cheese, Edam, is made with partially-skimmed cow's milk, and is meant to be eaten within weeks of its creation, while it's still smooth. Pasteurized milk is heated and bacteria is added to increase the acidity level. Liquid rennet is added to create curd, and the curd is cut into tiny pieces, then heated, drained, molded and pressed. After the cheese is salted, it ripens and is exported wrapped in red wax. Read the edam cheese Tasting Notes to learn more! Called Swiss cheese outside of Europe, Emmental is produced in the German-speaking areas of Switzerland. Milk is heated; rennet and starter cultures are added; the curd is cut into tiny pieces and is slowly heated. The curd is placed in molds with cheese cloths, and is pressed for 24 hours. After being soaked in brine for 3 days, Emmental is stored for a month, and later cured at 55 degrees F for 4 to 10 months. Read the emmentaler cheese Tasting Notes to learn more! Esrom is another Danish cheese that is made from cow's milk. Rectangular with a smooth, pale yellow color and a buttery texture, Esrom has a greasy, yellow-brown rind. It is semi soft and has a mild, pleasant taste. Some Esroms contain garlic, onion or pepper. Soft, crumbly and white, and salty, Feta originated in the Balkan Islands and is usually made with goat or sheep's milk in Greece. Shaped into large blocks, sliced into wedges, and then transferred to huge wooden barrels, Feta is saturated in brine (salt water) to stop the ripening process. You can soak Feta in cold water or milk before serving to decrease the salt and restore the natural flavors. Learn more about this great cheese by reading our feta cheese Tasting Notes! According to Chetimaches Indian legend, Louisiana's Bayou Teche was formed when a huge snake, miles in length, battled with the tribe. The snake was killed in the battle, and as its great body broadened and curved, it sunk into the damp mud of the swampland. Later, as water flowed through this channel, Bayou Teche was formed. Fleur-de-Teche, a triple cream cow's milk cheese, honors this legend. The vegetable ash "snakes" through the buttery, creamy interior of this soft rind cheese. This triple cream Guernsey milk blend is characterized by a slightly firm rind, and a wonderful buttery, creamy interior. This cheese is named after the symbol of France, the founder of Louisiana. This AOC (name controlled) creamy blue cheese is a lovely French treasure with a cylindrical shape. Fourme d'Ambert is high in moisture and compact in texture, so the blue mould does not spread in veins like other Blues, rather it forms in distinct, disconnected pockets. Compared to Blue Stilton, it is much creamier and therefore less crumbly. Fourme d'Ambert is cave-aged for a minimum of two months, made from raw cow’s milk and has a tremendous, creamy, full-bodied flavor. This cheese was probably the first farmhouse cheese to be made in Australia. Gippsland Blue is made of Jersey cow milk which gives it deep yellow color and a smooth, velvety texture. It ripens in eight to ten weeks. Gippsland Blue is round with a natural orange crust that is covered with white and blue-gray moulds. It has a sweet and buttery taste and is used as a table cheese, for grilling and in salads. This Scandinavian cheese is made with whey, cream, and milk, and attains its brownish color from the milk sugars that are caramelized during its production. Known also as Brunost, this cheese is made from goat's milk, or sometimes a blend of goat's and cow's milk. This extra creamy goat's milk cheese from France, is satiny-smooth with a firm, slightly chewy, edible white crust. Its flavor is all goat - tangy and rustic with hints of lemon and hay. Flown in exclusively every other week, this item is a true delicacy. Gorgonzola, Named after a village in Italy, has an intricate, complicated method of creation, and dates back to the eleventh century. In days gone by, cheesemakers aged gorgonzola in dark caves for a year or more, and the ripened cheese was crumbly with a creamy texture and a light tan in color. Read our gorgonzola cheese Tasting Notes to learn more about this rich, delicious cheese. Sometimes mistaken for Edam, Gouda is creamier, and a little nutty with a bright yellow wax coating. Baby Gouda, in red wax, has a Cheddar-like flavor. And smoked Gouda wears a black or brown rind. Some Goudas are flavored with herbs, cumin or caraway seeds. We invite you to learn more by reading our smoked gouda cheese Tasting Notes! Goutu is a French Swiss-style cheese similar to the Swiss Emmenthal and Appenzell. In Swedish, Graddost means "butter cheese." This cheese is made from cow's milk, and shaped into a small wheel. It's semi hard, easy to slice, and has a smooth, mild taste. It is high in fat, 60%, and is considered a double-cream. Developed in the 13th Century in the Po Valley, Grana is a class of hard grating cheeses from Italy. One-quarter of Italian milk production goes to making Grana cheese. Most are aged for up to four years, yet they have a smooth texture and "melt in your mouth." Gruyere, is a hard cheese with small holes made from raw cow's milk. It's heated; liquid rennet is added for curdling; the curd is cut into small pieces, and stirred to release whey. Curd is cooked and the temperature is raised quickly causing the pieces to become shriveled... the cue to place the curd in molds for pressing. The cheese is salted in brine for 8 days, and ripened for two months at room temperature. Curing lasts from 3 to 10 months. Folded cheese with mint originated in the Eastern Mediterranean region. Mint leaves are put into the cheese after it has been boiled and folded. It can be packed either in individual packages or in brine pails. The cheese has a pleasant, refreshing taste and a firm texture. Read our halloumi tasting notes to learn more about this excellent cheese! One of the most favorite cheeses in Belgium, Herve is brick shaped with a glossy, orange-brown rind. As with all cheeses, the taste and flavor of the cheese deepens on the period of ripening. When young, the interior is sweet, with age the flavor becomes spicy. Hubbardston Blue was the original chevre made at Westfield Farm in central Massachusetts. What began as a temporary stop-gap effort to placate Hubbardston Blue buyers during the winter months, when goat milk is in short supply, developed its own flock of fervent followers. Like the original Hubbardston Blue, Hubbardston Blue Cow is a surface ripened blue cheese that develops a very soft and creamy center upon ripening. This is one cheese even the most committed goat cheese lover is likely to have a cow over. A product of Afghanistan, Kadchgall is a hard cheese with a cylindrical shape that is made from sheep's milk. Sometimes Kadchgall is also made from camel's milk clotted with yoghurt. Although our smooth, mild Kashkaval comes from Romania, Kashkaval is a typical cheese from the Balkans and is also produced in Bulgaria, Hungary, Turkey, Greece, Slovenia and Croatia. Kashkaval is aged for six months, during which time it develops a slightly tangy flavor with a perceptible hint of olive oil. Kaseri is used in Greece instead of mozzarella and appears in local dishes. Pale yellow in color with a mild, buttery flavor and a springy kneaded texture. Kasseri is a versatile, multi-purpose cheese made from 80 per cent sheep's milk with the reminder goat's milk. There is no rind but the white crust is smooth, creamy and springy. Quite salty and pungent, with a dry feel in the mouth, it has an underlying sweetness due to the sheep's milk. In the Byzantine era, Kefalotyri was already well known and respected. This hard cheese has a tangy flavor and a sharp aroma. Kefalotyri takes only two to three months to ripen, and is harder and saltier than Kasseri.The color varies from white to yellow, depending on the mixture of milk, but the milk is always full cream. It's usually served grated. King River Gold is an Australian semi-soft cheese produced by David and Anne Brown at their farm in Milawa, Australia. The washed, natural rind is pinkish-orange, with a dusting of gray mould. The cheese has a slightly sharp taste. It is used as a table cheese and is delicious when melted over vegetables. Milawa Gold is quite similar, but stronger version of King River Gold. It has a rind of red-gold color and a supple, smooth texture. Gouda, Holland's best-selling cheese, is made from whole milk, giving the cheese a butterfat content of 48%. To make a cheese that is even creamier, Gouda producers add extra cream to the milk, producing a cheese called Roomkaas with butterfat content of 60%. Our Gouda producer's Roomkaas is named Koopsen Kaas Double Cream. Each wheel of Koopsen Kaas is stamped with the designation Grand Cru, indicating that it is one of their top cheeses. Smooth, buttery and delightful, this cheese pairs well with fresh grapes, pears, and dried Turkish apricots. Kugelkase, an Austrian favorite, is made from cow's milk. It's a round, creamy cheese with pepper, caraway seeds and paprika added so that the curd becomes infused with their aroma. The maturation lasts for 2 to 3 months. Almost universally known today as a stinky German cheese, Limburger was originally created by Belgian Trappist monks. The Germans, noted in the dairy world for their mimickry, latched on to the Belgian recipe and made it their own. Strangely enough, in the 1880's a New Yorker named Emil Frey copied the recipe for Limburger and created Liederkrantz - in effect, creating a copy of a copy! This pasteurized cow’s milk cheese has a tangy, creamy, Brie-like flavor with an incredibly pungent aroma. This perfume, which is caused by bacteria living in the rind, indicates a strong tasting cheese. However, Limburger is actually fairly tame, especially when you trim the rind. It is best when served with plenty of cold beer. Other good accompaniments are tinned fish, onions, crackers, fruits and vegetables. Read our limburger tasting notes to learn more! One of the Greeks' favorite cheeses, Manouri is an exceptional traditional Greek whey cheese, and is exclusively manufactured in Central and Western Macedonia and in Thessalia (from whence our particulare Manouri by Mt Vikos derives). It is produced from whey of the milk of ewes or goats, or mixture of them, with the addition of milk and cream. The result is a soft rindless cheese with unique taste and flavor, a creamy white color, and a texture like a light cheesecake. It is very smooth and has a fresh, milky, slightly citrus flavor. This cheese is also known as Manoypi. This cheese is made by the monks from Maredsous Abbey in Belgium. Maredsous is a loaf-shaped cheese made from cow's milk. The cheese is lightly pressed, then washed in brine to create the firm, orange crust and pungent aroma. With only 10 to 20 percent fat, this cheese should be very popular in the 21st Century. Mesost looks like fudge and has a caramel flavor with bitter aftertaste. It's a Swedish whey cheese, usually block shaped. The whey is heated, causing the proteins and fat to separate out, and when the liquid evaporates, it leaves a sticky mass of caramelized milk sugars. Once this is set in a mould, the cheese can be cut into blocks and it is wrapped in foil. Pannerone is Italian, and one of the creamiest cheeses available. It's soft with small holes and has a smooth taste with a hint of bitter bite. Milk is curdled, gently stirred to form curds and release whey. The curd drains for 12 hours in cheesecloths, and is placed in a heated environment of upwards of 80 degrees F for one week. The temperature is dropped to 50 degrees F for another week, and the cheese is immediately ready for market. Parmesan is one of the world's most popular and widely-enjoyed cheeses. Milk used for Parmesan is heated and curdled in copper containers, but not before most of the milk's cream has been separated and removed. Curd is cut and then heated to 125 degrees F, all the while stirring the curd to encourage whey runoff. The curd is further cooked at temperatures of up to 131 degrees F, then pressed in cheesecloth-lined molds. After two days, the cheeses are removed and salted in brine for a month. Learn more about one of the most popular cheeses in the world by reading our sarvecchio parmesan cheese tasting notes! Passendale takes its name from the Flemish village of Passchendaele. It's a semi-soft cheese made from cow's milk. With its warm, brown crust, lightly dusted with white mold, it resembles a round loaf of bread. The Belgian Passendale has distinctive, bulging, rounded edges and a soft, damp consistency. The flavor is mild and creamy. Pecorino is the name given to all Italian cheeses made from sheep's milk. Pecorino Romano is the name given to cheeses from the Rome area, Pecorino Sardo is from Sardinia, Pecorino Siciliano from Sicily. These cheeses are generally aged up to a year, and develop a brittle, hard texture and a yellowish rind. Younger cheeses are softer and whiter. Pepato is a variety spiced with peppercorns. Serve with full-bodied reds. Read our pecorino pepato tasting notes to learn more! Named after a town in Normandy, France. Pont-l'Eveque has a slightly moldy brown rind and a soft, supple paste. Also known as Moyaux cheese. Learn more about this cheese by reading our Pont L'eveque tasting notes! Originally made by monks in Entrammes, France. Lactic bacteria is used in production, which gives the cheese a acidity to complement its mild taste. Read our port salut tasting notes to learn more about this delicious cheese! In 1134, the Norbertinian clergy founded the Abbey of Postel. Over the years, the monks of this abbey developed cheeses made from fresh milk taken from their own herd of cows. Still today, the friars of the Postel Abbey are creating new cheeses. Raphael is one of their new creations. Named after the angel Raphael, this "real Abbeycheese" is a washed rind variety aged about 8 weeks. It has a lovely, creamy flavor and a very smooth texture. Originating from the Savoy mountain region, Reblochon means "second milking." Cow herdsmen would fill milk quotas with their early milkings, and do an additional milking which they felt was richer milk to use for their cheesemaking. Additionally, the cheeses were made while the milk was still warm. Rare and expensive. Made in Argentina, this cheese competes with the Italian Parmigiano Reggiano. The loaf is smaller than the Italian cheese, and cured for a longer time. Reggianito is a hard cheese, made from pasture-fed cows milk. It has an excellent taste and is perfect for cooking or as a topping on pasta. An old Belgium cheese, Remedou comes from remoud, an old Waloon word describing the rich milk produced at the end of a cow's lactation period. This cheese is also known as "sticking cheese" because the surface bacteria gives off a powerful aroma. Saga is a cross between blue cheese and brie, a creamy, blue-veined cheese with a white-mould rind. It is very mild for a blue-veined cheese. This is an outstanding dessert cheese... Saga is now made in America, as well as in Denmark, its place of origin. Read our saga blue brie tasting notes to learn more! The King of Denmark in the early 1800's invited Swiss cheese-makers to come and teach their art. The result was Samso, named for an island. Samso is made in disks or blocks from pasteurised cow's milk. It has an elastic texture with a few irregular-sized holes, and takes 3 to 6 months to ripen. Aged Samso cheese develops a sweet and sour pungency. This Catalan goat cheese is one of the most charming cheeses made in Spain. Produced by a small-scale cheesemaker north of Barcelona, this tomme de chevre is virtually unknown in the United States. However, a similar cheese from the area named Pau won the award for outstanding cheese at the Fancy Food Show in New York in 2003. Sant Mateu has a washed-rind and is made from pasteurized milk. Only local goat's milk is used in the manufacture of this fresh (aged for only one to two months) cheese. We love its fruity, slightly herbed flavor and its chalky yet creamy texture. This wonderful cheese comes to us from the volcanic island of the same name in Portugal's Azores archipelago. When colonized by the Flemish in the 15th Century, cheese production was introduced to the island, with cows brought over from the mainland. Still made in the traditional farmhouse way, this Cheddar-style cheese is made from unpasteurized cow's milk and aged for over 120 days and continues to improve with age. Its hard, inedible, natural rind gives way to a lighter colored interior with tiny, irregular holes. Sardo is an Egyptian cheese made from sheep's milk. It's hard, long-lasting, and often used for grating. We invite you to take a look at our Fiore sardo cheese tasting notes to learn more! This layered cheese is also called five counties cheese because of the different cheeses that make up its five layers. These cheeses are: Double Gloucester, Caerphilly, Cheshire, Leicester, and Cheddar. The cheese has a very dramatic appearance and a very pleasing flavor. If you are a fan of any of these British classics, this is definitely a cheese to try. To learn more about this cheese, we invite you to read our Five Territories saxonshire cheese tasting notes! This unusual Swiss cheese looks like a small truncated cone. It's greenish in color and very spicy due to addition of an herb called fenugreek. In the USA, it's named Sapsago. You can buy it as a powder for seasoning other foods. And it's fat free! This Austrian cheese is delicious on sandwiches or with crackers. White and golden in color, Schloss has a semi-firm and creamy texture. Its flavor depends on ripeness... the strong flavors are tangy, mild and pungent. Serat is made in Afghanistan from sheep's milk. The curds are kneaded into a ball before being smoked and dipped in wax to preserve the cheese. This Portuguese cheese and has been made for centuries by shepherds in the mountains of Serra da Estrela in the Beira region. The cheese is literally hand-made with its curds broken up by hand, rather than cut. Serra da Estrela is so soft that it is almost spreadable. The best description of its taste that I have read is: rich, perfumed intensity resulting from outstanding grazing, and sweet burnt toffee which is characteristic of sheep's milk. From the Jersey herd of Sharpham estate on the banks of the River Dart. This loosely textured semi pressed cheese has lots of flavour with a delicious creamy finish. Made using unpasteurised milk, it is a cheese that once you begin eating it is difficult to stop. Hawes Dairy has created a new Wensleydale for all of the people out there that cannot enjoy their cheese because they are allergic to cow's milk. This is an unusual tangy flavoured cheese, which is clean, fresh & milky, with a delicate, exceptionally smooth & creamy texture. Read our Wensleydale sheep's milk cheese tasting notes to learn more about this buttery cheese! Shahat is a gourmet Kosher cheese imported from Israel. Made from a blend of sheep and goat's milk, it is made in the style of the French cheese Selles sur Cher. Coated with charcoal and white mold, the ash facilitates the draining of the whey and encourages the interior of the cheese to ripen. Delicately textured and creamy, Shahat matures with a richness of flavors added by exciting spices. Siraz is an unusual Serbian cheese in the shape of flat disc. First, the young curd is pressed into flat discs, then left to dry in the open air. Over next few days, the surface is rubbed and salted several times, and finally, the cheeses are stored in wooden containers of brine for a few weeks. The taste of the cheese is slightly sour and of course, salty. A popular Bulgarian cheese, Sirene is made from a blend of sheep's and cow's milk. This cheese is usually produced as blocks. The texture is slightly grainy and it has a fresh lemony taste. Sirene is used as a table cheese, in salads and for baking. Today, nearly 300 years after the birth of Stilton, it still is handmade exclusively in the counties of Leicestershire, Nottinghamshire and Derbyshire from local milk. Only seven dairies, using the original centuries-old recipe, are licensed to produce the creamy ivory-hued king of cheeses. So esteemed is Stilton's unique flavor and texture, it is the only British cheese graced with its own certification trademark. Read our stilton cheese tasting notes for more information. Winner of the 2001 Best Exported British Cheese Award, Stinking Bishop is a washed rind cheese dating back to the Cistercian monks who once settled in Dymock where this cheese is made. 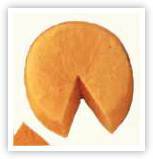 Washed in fermented pear juice (also called "Perry"), the cheese develops a stinky, pungent, orange-colored, sticky rind. Named after the Stinking Bishop pear varietal, this cheese is a spectacular dairy experience. Another Australian cheese made from goat's milk, this cheese is fresh and lemony, with a moist, cheesecake texture. There are two versions of the cheese, plain and ash-covered. Chevre Log takes just from one to three weeks to ripen. Tarentaise is an aged, raw-milk, organic handmade cheese. This artisan cheese is made using a copper cheese vat in the tradition of the Beaufort and Abondance cheeses of the Tarentaise Valley in the Savoie region of the French Alps. Tavor is a Kosher cheese made from a blend of sheep and goat's milk. Its rind is sprayed with Penicillium Kandidium which penetrates inwards during the maturation process. The natural sweetness of the sheep's milk is expressed in the flavor and milky earthiness of Tavor. Its full, buttery texture makes it a truly splendid Israeli cheese, with a distinct, tangy flavor. Sort of square, soft and creamy. The tangy, nutty flavors are enhanced by aging, and its rind turns a rust color. This cheese is yummy with smoked ham and garlicky meats, a variety of melons and wines. Testouri was introduced into North Africa by the Ottomans after the 15th century. It's shaped like an orange, is made from sheep's or goat's milk. This cheese is eaten fresh and lightly salted, and is very popular in the Near East. Windsor Red is a cheddar-based product imported from England. The cheddar is marbled with a mix of port and brandy, giving it a berry flavor and an eye-catching look. Strikingly beautiful, Windsor Red makes an excellent addition to any cheese board. Serve it during hors d'oeuvres or after dinner as part of a cheese course. For a gourmet salad, combine cubed Windsor Red with a mix of radicchio and endive. This Greek cheese is a blend of feta, kasseri, and the whey of mizithra. It's also a blend of cow and goat milks. Xanadu is always aged in semi-circular molds [half-moons] for at least 14 months. Xynotyro cheese is hard and flaky, and usually is described as a sweet, burnt caramel combined with the sour taste of the whey. It is made from the mixture of sheep's and goat's milk and is found in many different shapes and sizes. Xynotyro is low-fat, only 20 per cent. Made for the Yuulong Lavender Estate near Mt. Egerton, east of Melbourne, this unusual cheese is made with Lavandula Angustifolia Vera. It is a summer flowering culinary Lavender, free from Camphor. This cheese has a pleasant and distinctive aromatic flavor which complements Mt. Emu Creek’s distinctive sheep’s milk cheese.